Alongside the work we recently launched in Indonesia, we’re also kicking off efforts in Argentina to develop and test solutions that will put all waste to productive use for the benefit of communities and the environment. Collection in action: Cooperative members collect recyclables along the narrow streets of Barrio 31 in Buenos Aires. Our initial focus in Argentina is Barrio 31, an iconic informal settlement of about 40,000 people in the heart of Buenos Aires. Like many other informal settlements around the world, it’s struggling with waste management. McKinsey.org, together with our partners, is trying to demonstrate that a community-scale solution for recycling in Barrio 31 can be economically beneficial, as well as environmentally and socially responsible. We hope solutions developed here can be scaled across the City of Buenos Aires and beyond. The city is three years into an ambitious effort to transform the settlement, keeping the community in place while providing quality housing, formal infrastructure and services, and drawing businesses and city attractions that complement the Barrio’s cultural vibrancy. “Our partnership with McKinsey.org is an exciting step forward in our dream to transform Barrio 31 into the most sustainable, vibrant neighborhood in the city,” says Diego Fernandez, Secretary of the Social and Urban Integration Secretariat of the City of Buenos Aires. “Instead of sending the Barrio’s waste to landfills or allowing it to pollute our environment, causing health and safety issues for our families and children, we will harness the value in the waste for the benefit of the community. Training for recycling: McKinsey.org’s Lucas Gastaldi Asensio conducts training for members of a local cooperative. In Buenos Aires we’re delighted to be partnering with Almado, an Argentina-based consultancy focused on social impact and a social enterprise. 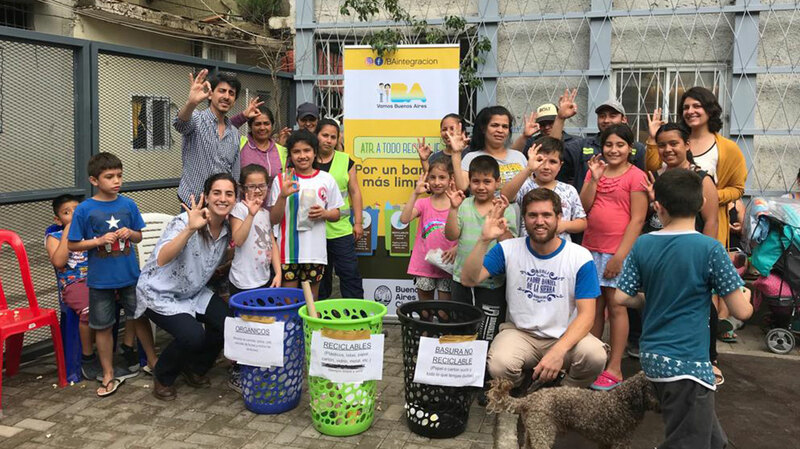 The initial results of our pilot show that rapid progress is possible in putting recycling at the heart of the social and economic life of communities such as Barrio 31. Our hope is that by collaborating with other cooperatives, city governments, and social enterprises, we can quickly scale solutions across and beyond Argentina. Previous Buenos Aires magazine features Rethinking Recycling pilot Up Next Can stable prices help ease plastic pollution?